After travelling through time in SHADOW OF NIGHT, the second book in Deborah Harkness's enchant­ing series, historian and witch Diana Bishop and vampire scientist Matthew Clairmont return to the present to face new crises and old enemies. At Matthew's ancestral home in France they reunite with their families - with one heart-breaking exception. But the real threat to their future is yet to be revealed, and when it is, the search for the elusive manuscript Ashmole 782 and its missing pages takes on a terrifying urgency. Using ancient knowl­edge and modern science, from the palaces of Venice and beyond, Diana and Matthew will finally learn what the witches discovered so many centuries ago. This is the third and final book in the All Souls Trilogy. I absolutely LOVED it! I downloaded this as an audio book, as I wanted to read this book, but just didn't have time to. Listening to an audio book allowed me to do household chores or listen to a few chapters before bedtime. The story was again narrated by Jennifer Ikeda, who did another fantastic job. Her narration was clear, concise and pleasant to listen to. She gave each character their own voice and accent, and brought them to life. Diana Bishop is a fantastic character. She is a very powerful witch, known as a weaver. I loved this character from the start. She is quite headstrong and determined. And is now a formidable witch. Matthew Clairmont is another fantastic character. He is a geneticist, who also happens to be a vampire. He is an enigmatic person, but I really liked him. This is a fantastic conclusion to the trilogy. The story starts where it finished at the end of book 2. Diana and Matthew have returned back from 1590, and their lives are still in danger from the Congregation in the present. This story is slightly different in that there are more characters that are given a voice. It was interesting to see the world through their eyes, especially Gallowglas and Isabelle's. The story has several twists and turns which kept me hooked from beginning to end. I was a little disappointed that the origins of the manuscript known as Ashmole 782 was not delved into more thoroughly - as in who created it - by the author, but that was a minor niggle. Nevertheless, this manuscript holds a secret that is as shocking as it is mysterious. There are a few surprising moments in this book that had me feeling rather emotional. I found myself on an emotional roller coaster more than once, and in tears during quite a few scenes. A face from the past makes a surprising return, and I was shocked by how emotional this made me. I hadn't expected to see this character again, and I had tears streaming down my face in happiness. My heart broke as I realised that this beloved character had become infected with blood rage; his life altered in many different ways. His struggle with the illness was painful to read/listen to, as I could picture these scenes quite clearly. What struck me most about this story was the complex relationships between certain characters. There are shocking family revelations that caught me unawares and left me reeling, especially the ones about Benjamin and his relationship to Matthew and Father Hubbard. I was seriously disturbed by Benjamin and his experiments. They are rather gruesome and violent. He is one seriously bitter and twisted vampire - hinging on mad - that I wouldn't want to come face to face with. His depravity left me feeling a little ill. However, how much of it was nature and how much was nurture (or lack thereof) that made him that way, I don't know. I will say that he is one scary dude! I was saddened when I came to the end of the book, because I really enjoyed this series and didn't want it to end. I had conflicting emotions whilst listening to this book/series; I couldn't stop listening to it, but dreaded coming to the end of the story. However, things must come to an end, and this series is no exception. Although the story ends with a relatively happy ending, I couldn't help but wonder if the author would visit this world again, but with Diana and Matthew's children as lead characters. I hope so, because I have grown to love these characters and will miss them greatly. If not, I could always go back to where it all began - with a Discovery of Witches. 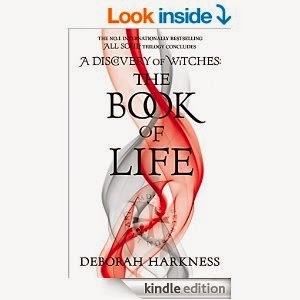 Deborah Harkness has written a fantastic trilogy. She has created a world where humans, witches, daemons and vampires all live in an uneasy alliance. 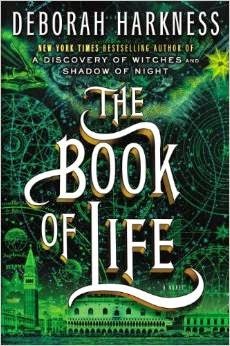 Deborah Harkness has become one of my favourite authors. I love her writing style, which is fast paced and exciting, and the story flowed beautifully! I am looking forward to reading more of her books in the future. Today, I am pleased to bring you the cover reveal of Tempted by a Rogue Prince, the third book in the Eternal Mates series by Felicity Heaton. I love the cover, and am looking forward to reading Vail's story! Apple Nook just #99cents each! All of her life, Bree had been treated badly by men. According to her mother, it was just the way it was with the women in her family and there was no point in trying to fight it. There was no sense in dreaming about Prince Charming right out of the story books, he just didn't exist. She had to accept her fate and move on. It was as simple as that. Bree craved love. She longed for a man to promise her his heart and soul and protect her from the monsters that she had grown accustomed to. She prayed that her mother was wrong and that one day he would find her. When she is given a second chance, Bree tries to put the pieces of her shattered life back together. Without her abusive husband ruling her every move, she begins to enjoy her newly found freedom and decides to explore her feelings for his younger brother. 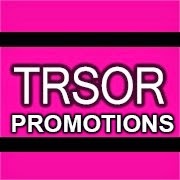 Win Paperback Copies of All 3 Novellas!!!!! Giveaway ends July 29, 2014. See the giveaway details at Goodreads. A third-year law student struggles to ensure his death is as existential as he can make it but the Womburu won't let him. His parting marked with a song leaves tragedy in its wake. Maybe he knew something none of us do. This is a very poignant short story, which deals with an unsettling and upsetting topic, and follows a young man who meticulously plans and executes his suicide. It is based on a true event. This story was very touching and left me feeling a little emotional, as I have known people who have taken their lives in the belief that they are worthless, and the world would be a better place without them. This is not true. Every person on this planet has a worth - self worth. But due to bullying, self loathing, low self esteem and/or depression (either due to emotional or financial issues), many people falsely believe that no one cares whether they live or die. I was devastated when I found out that the two people I considered friends ended their lives. I wished I had known that they were in a dark place. Unfortunately, I had not, and so was unable to help them. My one question will always remain as "Why?". Taking one's own life is never a solution to a problem. It just creates bigger problems for the family and friends who are left devastated, and wondering if they could have helped in some way. If you, or someone you know, has been bullied, hates yourself/themselves or suffers from depression and has contemplated ending it all, I would seriously recommend seeking help. There are several organisations and charity groups, not to mention family members or friends, who would be willing to listen, even if they cannot completely understand what you/they are going through. 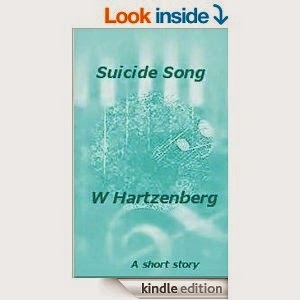 Although this story is based on a true event, Wanda Hartzenberg has written a deeply philosophical take on the subject of suicide. I found her writing to be very descriptive and almost lyrical in it's presentation. Her story, though short (only 5 pages long), sure packs a rather large emotional punch, and, with the inclusion of lyrics from Neil Diamond's song "Hello Again" made me picture the scenes with chilling clarity. This is her debut story in the writing world, and I am looking forward to following her career with interest. Boston, 1765: The British Crown imposes onerous taxes on the thirteen colonies, and intrigue swirls around firebrands like Samuel Adams and the Sons of Liberty. For Ethan Kaille, a conjurer who makes his living tracking down thieves, politics is for others...until he is asked to recover a necklace worn by the murdered daughter of a prominent family. A man with a dark past, Ethan can ill afford to turn this case down. But taking the case means facing the most powerful members of Boston’s high society and its seamy underbelly. And behind it all, another conjurer waits, who has already killed in the service of powerful masters. Ethan is in way over his head, hopelessly overmatched by the deadly spellcraft of someone he cannot even see. This is a fantastic historical urban fantasy. I loved it! I saw a post on Facebook by someone I follow, who recommended this book, It piqued my interest, so I had a look at the blurb and decided to give it a try. I downloaded it as an audio book, so I could listen to it while doing housework, or just before going to bed. The tale was narrated by Jonathan Davis, who brought the characters and story alive with his narration. I could listen to his voice for hours! In fact, I did! I became so involved in the story that I didn't realise how much time had gone by! The story took me on a journey into eighteenth century Boston, where the people are beginning to protest at the British taxation of the colony. I am not a history buff, but I am interested in this period in America's early history. The author has woven a wonderful tale into this backdrop. Although I haven't read any of the books, Ethan Kaille reminded me of Jim Butcher's Harry Dresden (I've watched the TV series based on the books). Nevertheless, Ethan is his own character and has his own quirks. He uses elemental magic - earth, wind, water, air and fire - for his spells. He is hired to find a piece of jewellery stolen from a murdered woman. However, he finds himself being pulled into a deadly cat and mouse game with a formidable opponent. The story has several twists and turns, which kept me hooked from beginning to end. I found it interesting that one of Ethan's fellow thieftaker's was a woman; a rather ruthless one at that. However, she does not use magic to find her client's belongings. I had the picture of her in my mind's eye as a mob boss or a pirate, who intimidates and bullies her way into finding the items. Saphira is not a nice person, but I got the feeling that, although she was jealous of Ethan, she was attracted to him too. But, Ethan loves another. I was a little disappointed at the way the author didn't make use of mixing different elements for stronger spells for his character/s. This, in my opinion, limited Ethan's ability to create more powerful spells in defense or attack. Simple maybe better, but there is one scene which could have had a bit more oomph to it if a few more elemental spells were mixed. But, this didn't stop me from enjoying the story. I reached the end of the book, and found myself looking forward to continuing the series by reading/listening to Thieves' Quarry as soon as possible. D.B. 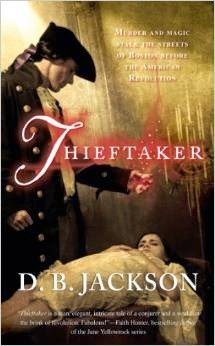 Jackson has written a fantastic historical urban fantasy. 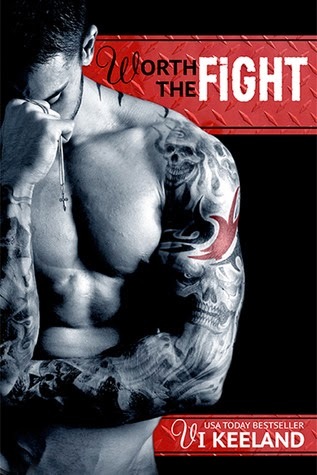 I loved his writing style, which was fast paced and action packed. The story flowed wonderfully from beginning to end. I have never read any other books by this author, but I would definitely read more of his books in the future. The students were occupying almost all the bean-bags, and all but one sofa. Within moments of Brooke entering the room, a hush fell and all eyes turned towards her, making her immediately regret the decision a couple of weeks earlier to dye her hair pink. ‘Girls, guys and freaks, this is Brooke Shore, another little arsonist freak for your gang!’ she smirked, glancing toward a small group of three as she laughed. The sound was totally unpleasant and instantly confirmed all Brooke’s misgivings about the girl at her side. How did she know about the fire? ‘Oh, I’m sorry Brooke. I was sure I heard Mrs Willing calling your father Mr Shore?’ Erica replied smoothly. ‘He’s not my real father; I’m adopted. 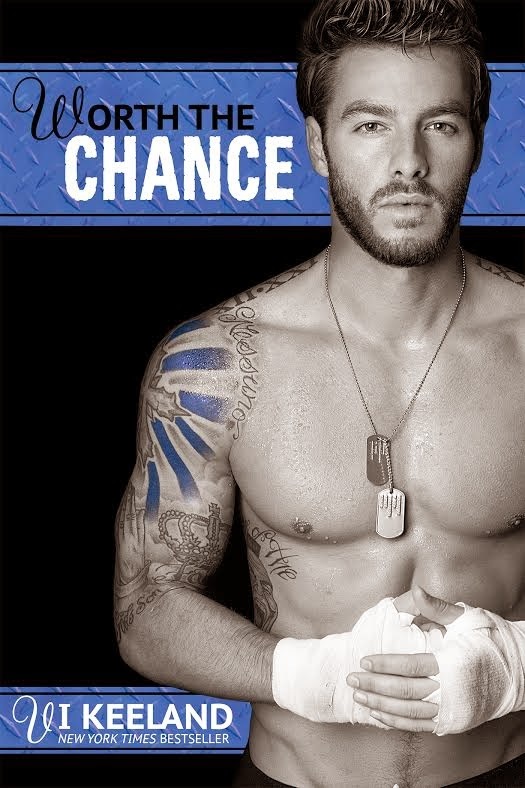 I didn’t take their name,’ Brooke replied, meeting Erica’s cool blue eyes and desperately blinking back any threat of tears that would give this girl her victory. After all someone would have found out at some point; they always did. ‘Or not… as the case may be!’ The voice came from a boy sitting with two other students, a girl and another boy, just to her left. It was the very group Erica had nodded at when she’d mentioned arsonists. The boy sat on a bean bag in front of a game console, his legs stretched out in front of him, straight black hair falling into wide-set brown eyes. His lips were a deep blush colour most girls would kill for and were set in a scathing smirk. Across his bicep Brooke could see a black, snake-like tattoo crawling along the edge of his black t-shirt. He met her gaze steadily and then winked. Emma Mills is a stay-at-home mum, who after a recent move 200 miles south now lives in the beautiful county of Somerset, in the UK. She shares her home with her husband, two children, a dog, 3 cats, a house rabbit and a tankful of fish. Emma grew up and later went to university to study English in the city of Manchester and for the first decade of her adult life lived in a small town on the edge of the Peak District. It was here, looking after her babies and compulsively reading YA fiction that the ideas for her debut novel, WitchBlood began to take root. A UK literary agent was secured, however it soon became apparent that she had missed the paranormal popularity boat by about six months, as all the publishers lists were full. With the characters not taking 'no' for an answer Emma decided to join the huge ranks of indie authors out there and go it alone. WitchBlood was published in 2012, swiftly followed by WitchCraft and WitchLove. 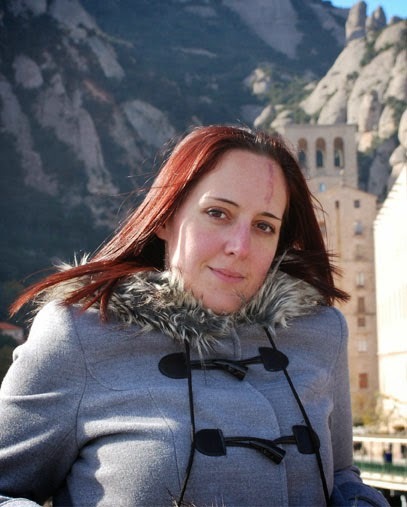 Emma finished the series and published the finale WitchHunt a week after moving her family south to Somerset, in November 2013. 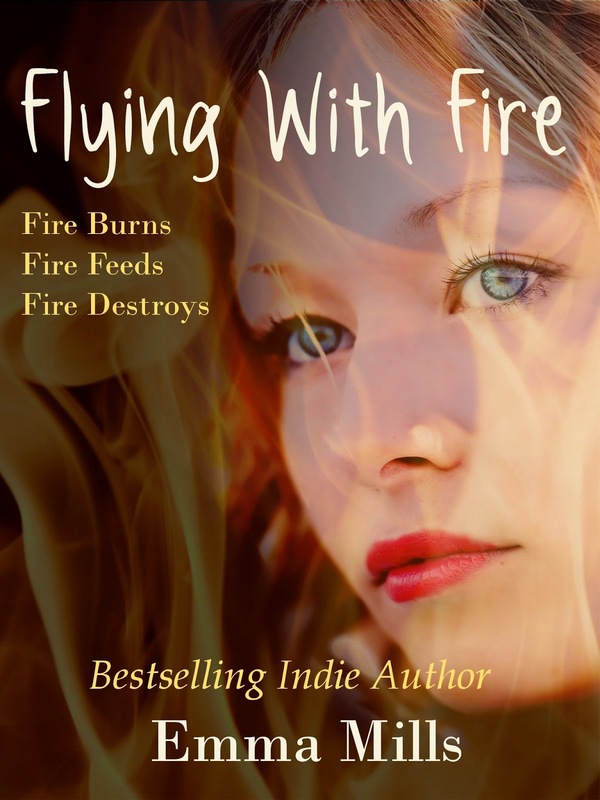 A tie-in novel ‘Flying With Fire is scheduled for summer 2014. 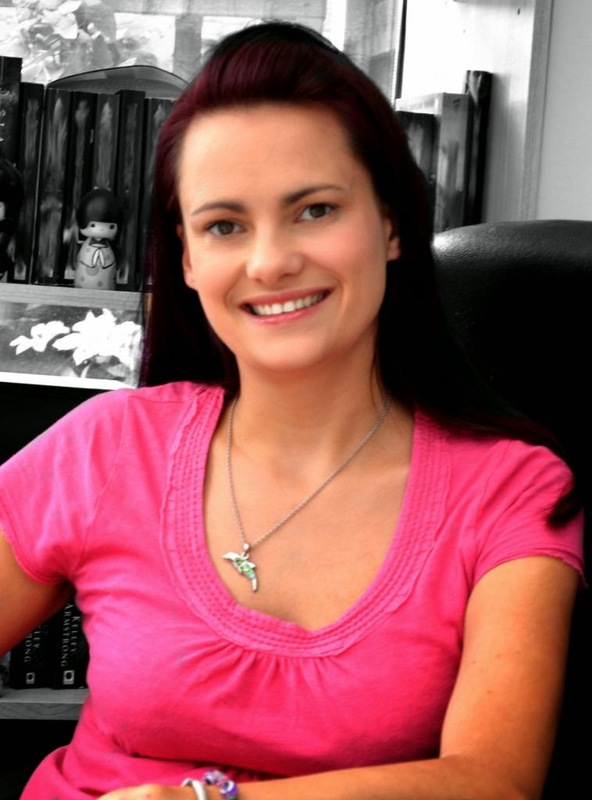 Emma is now working on a new and exciting YA project. 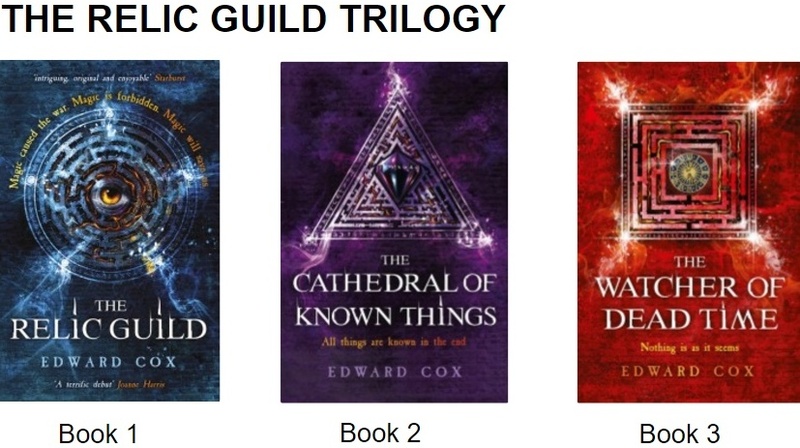 A three book series unlike her last, where all the characters are human, there are no vampires, no spell casting and no demons rising. A series that will rip your emotions to shreds and leave you breathless. Fred is an unusual monster. After leaving scare school he realises that he doesn't want to scare little boys and girls. How can he show his face in Monster Land now? Everyone will laugh at him! Then he meets a little boy called Dale, who comes up with an unexpected plan. This is a fantastic children's book for boys and girls aged 0 to 11. I loved it! Fred is a wonderful character. He has just graduated from scare school, but realises that scaring is not for him. I loved this gentle monster. His heart is kind and good. Dale is a human boy, and Fred's first scare after leaving school. I loved this character's compassion. His plan to help Fred is quite clever! I loved this little story about a monster who doesn't want to be scary. Not every monster has a wish to frighten others or be bad. Fred is one such monster. The author has written this story with a rhyming pattern that flows beautifully and rolls off the tongue. I would love to read this out loud to a youngster, because the cadence just lends itself to being spoken. Unfortunately, my two oldest nephews are a bit too old for this story, and my two youngest nephews live too far away. However, this doesn't stop me from reading books like these, because I like to read them. I was also impressed with the illustrations. The artist, Pippa Cornell, has complimented the story with some deliciously cute drawings. They describe the story very well for those children who cannot read. These could also allow a child to create their own story, if they so desire. 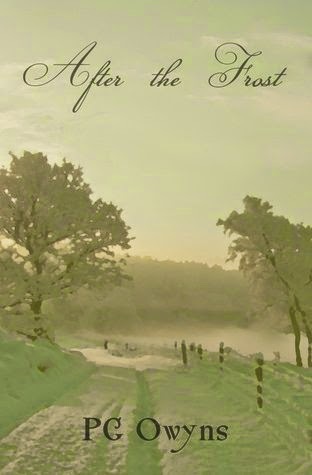 Tony Gilbert has written a fantastic tale of friendship and caring. I love his writing style, which also flows wonderfully. I have read one other book by this author, and I look forward to reading many more of them. 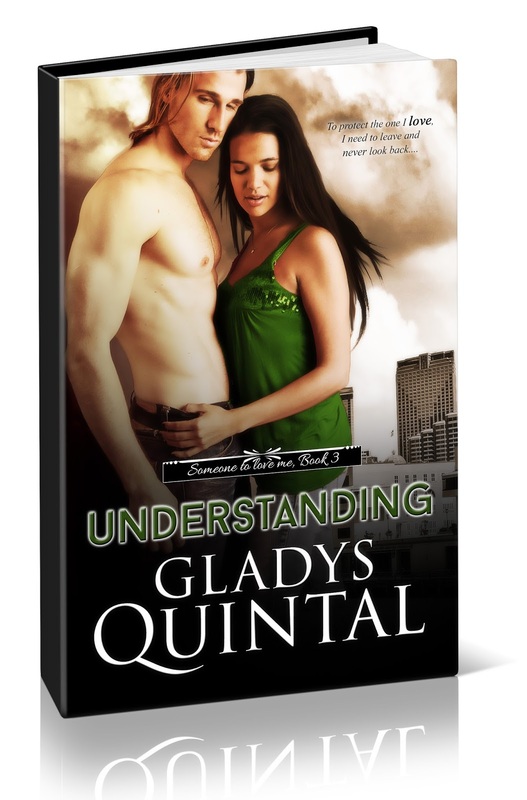 The stunning sequel to the thrilling paranormal romance novel Everlasting! One lie will change everything. Faye Middleton has secured the Dagger of Retribution for the High Priesthood, but in doing so, she’s opened the door to more demands set by them. She now has to break the Holy Seal, and soon. Trapped in the alluring Ethryeal City, Faye is pushed to the breaking point trying to discover just what she is truly capable of, even if it means destroying herself in the process. With the clock ticking down to the war between both Covens, and the truth about her parent’s mysterious disappearance within her reach, Faye is faced with tough choices that will forever change her. Will Faye be able to handle the demands from the Priesthood, and still be able to continue her search for her parents? But more importantly, can she survive the truth she finds? When Lillian and Audrey hatch a plot to escape from Tranquil Meadows Nursing Home, “borrow” a car, and spend their hastily planned vacation time driving to destinations west, they aren’t fully aware of the challenges they will face. All they know is that the warm days of August call to them, and the need to escape the daily routines and humiliations of nursing home life has become overwhelming. But their trip is almost over before it begins, until they meet up with the unsuspecting Rayne, a young hitchhiker. As Lillian and Audrey try to take back the control that time and dementia has taken from them, Rayne realizes the truth of their situation. But it’s too late – he has fallen under the spell of these two funny, brave women and is willing to be a part of their adventure, wherever it leads them. This is not my usual genre of book, and when I was first approached about reading this story, I was going to turn it down. However, after reading the synopsis and thinking about it, I decided to give it a try. I am so glad I did, because I LOVED it! Lillian is a wonderful lady. I loved this feisty octogenarian. I could imagine her as a younger woman with a backbone of steel and a penchant for taking risks. I began to cheer her on, as she embarked on an amazing adventure with her friend Audrey, and a young man called Rayne. Audrey is also a wonderful character. She is a woman who has not had an easy life, though her mousy demeanor hides her adventurous spirit. Her trusting nature is one thing I loved about her. She is probably the best friend anyone could have, as her loyalty is given to so few. I started to read this book, expecting it to be a comedic adventure. How wrong I was! This book took me on an amazing adventure with two strong females struck down by a disease that has stripped them of freedom and dignity. I struggled to put this book down, and even then, it was grudgingly when I had to. Lillan and Audrey, in their "sane" moments, realise that there is more to life than watching TV and taking pills in a nursing home, and plot an escape to have a holiday from the constant, unwanted attention of the well meaning nurses. Their minds, dulled by the disease at times, are incredibly sharp and curious when lucid. This made for some humorous events, including the scene where Rayne was recruited to drive the two ladies from Ottawa to British Columbia. Their journey is full of anecdotes of the lives they once had, which brought these characters to life in my minds eye. Rayne is a troubled young man, but his empathy and sensitivity towards the two older women was very touching. I liked this young man. He is kind, considerate and, although a bit selfish at times, caring. I found the ending to be a bit bittersweet, but I will find that this story will stay with me for some time to come. Alzheimer's is a disease that, thankfully, has not affected my family. Yet. However, this story has opened my eyes to how people affected by this disease are basically prisoners to it. They have no idea that they are sick, and when the episode has cleared, there is no recollection of their behaviour or actions. However, when they are "normal", they find themselves confined or too drugged to understand. Putting a person with Alzheimer's into a home is a hard decision for a family. However, some people cannot look after their family member/s the way they need, so a home is the only option. Although I have great sympathy for the families affected, I also feel for the person afflicted by the disease. It can't be easy to find yourself in a place that can restrict your freedom, and make you feel like you have no dignity left. 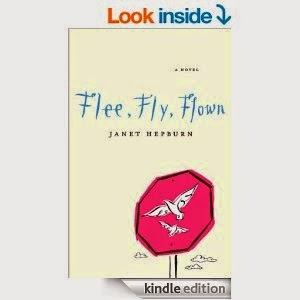 Janet Hepburn has written a fantastic debut novel. I love her writing style, and the flow was wonderful. She has dealt with the subject of Alzheimer's with sensitivity and care. I would definitely read more of this author's books in the future. Come to the cider mill where delightful apples and pumpkins await you. 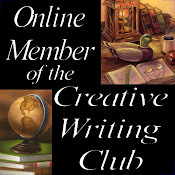 Join in by adding your own pictures to the book and begin your journey on becoming an artist. Autumn or Fall (depending on where you live) is a beautiful season, with trees changing colours and the air becoming colder and crisper. I must admit, on a personal note, that I am not overly fond of winter, and wish that we could keep the autumn season for a lot longer. To The Cider Mill is a wonderful children's story come drawing and colouring book.The cider mill comes alive in the fall, so some of the pictures are based on that season and has apples, pumpkins and scarecrows! This is a very difficult book to review, as there is very little in the way of words to read, since it is more of a pictorial journey to a cider mill. Nevertheless, there is an educational element to the book, and engages the young reader in learning how to draw and use colours to express themselves through art. The story can also help a child with their spelling and pronunciation (depending on reading ability). The beautifully drawn pictures are delightful, and children would be able to spend many happy hours colouring them in. There are pages that the author has purposely left blank, so that children could draw pictures in the book by following the directions on top of the page. I love colouring books such as this, even though I am an adult and supposed to have grown out of such childlike (note: not childish) activities. Give me a colouring book and some crayons, and I would happily while away more than a few hours doing something that gives me pleasure. Danna York has created a fantastic book for children that is educational and fun. Her drawings are lovely and convey a story very well. If she decides to create another picture story book, or even a straight children's story with words, I would happily read it. 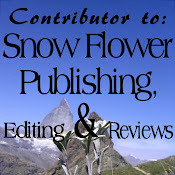 Link to the author's Facebook page for those of you who are interested in contacting her. While some of these stories were first published in magazines including Highlights for Children and Read (Weekly Reader), many are brand new. So what are you waiting for? Jump right in—have fun with your head! Includes nine original, full-color illustrations not found in the print edition. 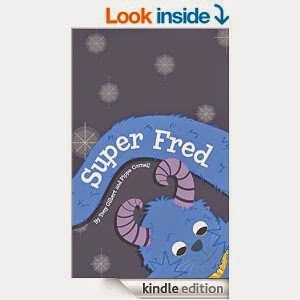 This is a fantastic children's story book, I LOVED it! When I was first contacted by the author to read this book, I was quite excited. I love stories that get the imagination juices flowing. I am just sorry that due to my rather large reading list, that it has taken me so long to get to read it. Every single story in this book takes the reader (or listening child) on an amazing adventure. Although I was a little disappointed that the stories were not as long as I would have liked, they are the perfect length to capture, and keep, even the most fidgety youngster enthralled. The author has taken some very ordinary, everyday objects and has woven magical tales around them. There are some fantastic stories in this book, and it is difficult to pick a favourite one. However, I loved the following stories: How to Stuff a Rhino, Dragon Daily News and The Jet Who Wouldn't Fly. Each story in this book has an obstacle that the characters have to overcome, such as fear or bullies, but they also have a message such as asking for help when needed or believing in yourself. I was sorry to come to the end of the book, as these stories were highly entertaining. 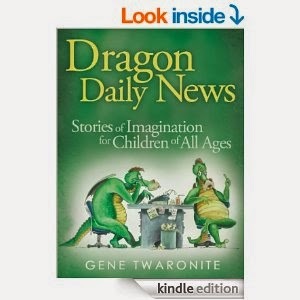 Gene Twaronite has written a fantastic children's book that sparked my imagination, never mind a child's. I loved his writing style, which was fast paced enough to keep even the shortest of attention spans hooked; every story flowed wonderfully. I would definitely read more of this author's books in the future. Today, I am pleased to be part of the Book Blitz for Spartanica (The Survivors of Sapertys) by Powers Molinar. This is a YA Science Fiction, Post-Apocalyptic Adventure.